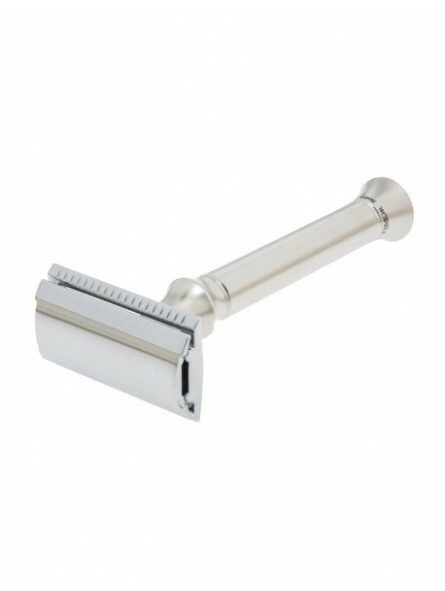 Timor Double Edge Safety Razor 1350, is a precise and balance classic safety razor design and engineer in Germany. 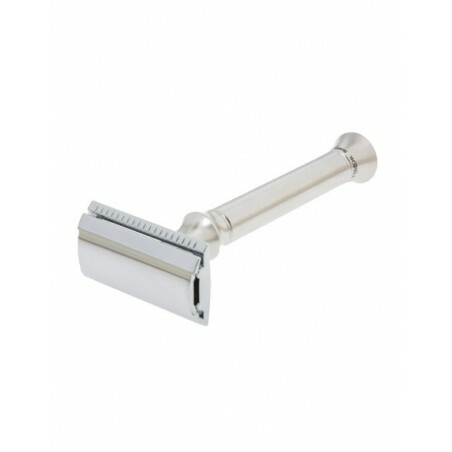 The handle is manufactured from solid stainless steel, shaving head is made by zinc die-casting and full chrome plated - 100% stainless. Due to is perfect balance will give an all times a smooth and close shave. Razor is pack in a sliding and elegant gift box which includes 10 Timor double edge blades as complement. 1350 Timor traditional safety razor is offer with close comb. Total Razor weight - 115gr approx. Made in Germany by Giesen & Forsthoff.